Warm and responsive care is crucial for your infants healthy development. Your baby will be held and nurtured by loving caregivers. We enrich the infants environment with soft toys, colorful books and music. Caregivers talk to the babies, play games like peek-a-boo and sing to them. At the end of the day we give you a complete record of your baby’s care, including sleeping, eating and diapering schedule. 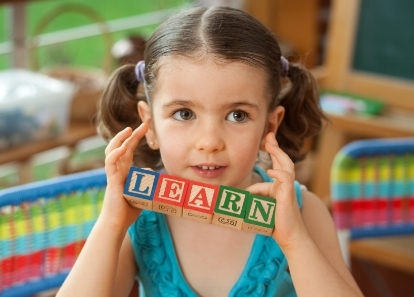 Toddlers are developing rapidly and dramatically in all areas. They are beginning to think through their actions, solve problems and understand language. They thrive on new experiences, so we provide them with a safe, nurturing environment that allows each child to develop naturally, individually and happily. Our flexible hands-on program stimulates language development, promotes small and large muscle coordination and much more. Daily progress reports gives you information on care routines like eating, napping and diapering. Two’s want to explore and discover the world around them. We spark their sense of discovery by providing a colorful, enriching environment that offers a wide variety of educational toys and materials. Plenty of fun, self-directed activities give them the independence they are so eager to enjoy and helps them prepare to cross the bridge to preschool. Since two’s are learning words so quickly and beginning to express thoughts, we use activities like reading books aloud, nursery rhymes and songs to expand their language skills. The program is designed to help our three’s and four’s explore the world around them. Colors, shapes, and numbers are just a few of the important skills our children learn as they work through the program. Hands-on activities keep the children actively involved as they learn to recognize letters, explore beginning sounds, understand number concepts, develop character awareness, and much more. We incorporate science and computer activities as part of their daily schedule. © 2018 Clarian Place Child Care & Learning Center, Inc.